I can’t write this post without Pharell’s ‘Happy’ whirling around my head. No bad thing, I love that song! But not really make-up relevant. 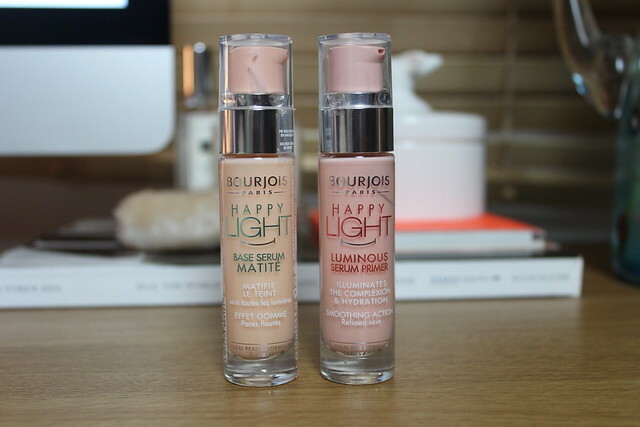 But this post is to take a look at some recent launches from Bourjois – the Bourjois Happy Light Concealer and the Bourjois Happy Light Primers (in matte and luminous versions). 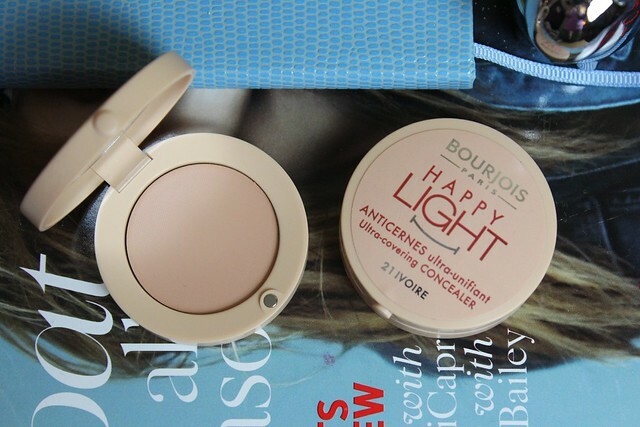 Each come in typically neat and more-premium-than-the-price style of packaging (Bourjois really do have lovely packaging for the value of them) and are part of the wider Happy Light range, all designed to give a glowing and healthy – natural looking – complexion. Firstly, the concealers – there are two shades shown here: ’21 Ivoire’ and ’22 Beige Rose’. 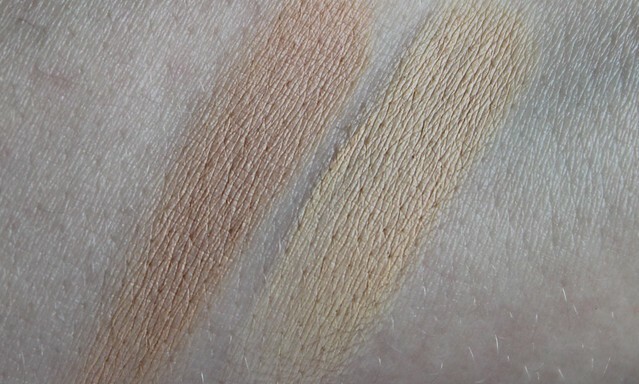 Shade wise, they’re a similar depth but one is more pink toned (the beige rose) and the other more yellow toned (the ivoire) making one perhaps look a little darker than the other. Texture wise, they’re very light and creamy. Not at all heavy, so would work really well for under the eyes – especially the pinker toned shade to help counter any darker circles. The formla blends really seamlessly with the skin, making these a dream to apply and use for a light but effective coverage. Because they blend so well with the texture of skin, these are best for colour correcting rather than masking raised blemishes – where perhaps a thicker concealer would be more effective to ‘smooth over’ a little more. But for under the eye and colour correcting, these work a treat. If you like your bases light and natural, then you will like these concealers – it will just be a case of finding the shade for you. Also worth a little mention are the two cute bottles of primer from the Happy Light range. One for a luminous finish and the other for a matte finish. I had high hopes for these, especially the matte one but actually found that on using it, I much preferred the luminous one. This doesn’t do luminous in the way that many primers do – by just adding a subtle sparkle – it adds moisture and sort of ‘smooths’ skin to create a base that’s perfectly ready for foundation. I didn’t love the matte one, purely because I didn’t feel it left my skin as matte as I would like. Much preferring the glow of the Luminous variant. This could very much be simply down to my own skincare preferences though rather than the product itself. Texture wise on application they’re both similar. Very light, almost like a gel to apply. One small pump goes a long way and just helps prep the skin for the full base. As with the concealer, these get top marks for premium-feel packaging, they’re light and practical, but also feel more expensive than they are. Of the two, I’d say the concealers are the top pick as think these are ideal if you’re looking for something lightweight and easy to use. Plus these are perfectly handbag friendly as they’re compact and come with a mirror in the lid (only caveat being that you need to be happy to take a brush or be ok with using your fingers to apply on the go). These of course are the perfect partners to the Bourjois Foundation that’s also available in the range (not shown) – I haven’t tried it, but in my experience Bourjois are the best at high-street foundations. 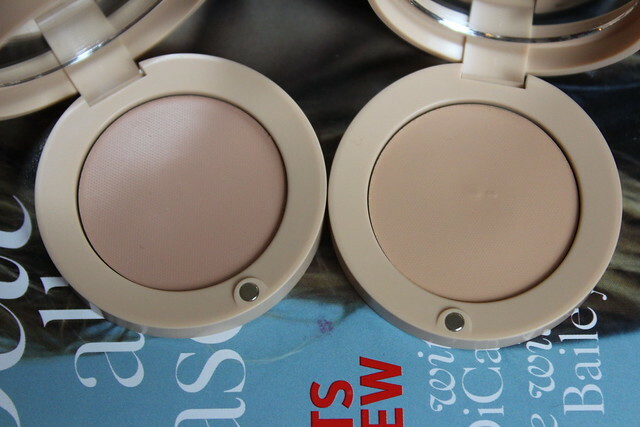 These look like a dupe for the Bobbi Brown cream concealers, and a much nicer price!! Thanks for sharing!! I can’t wait to try the luminous primer, it’s on my wishlist. It is a lovely primer, very light and hydrating. I think it’s fab for combination skin! I think that this is such a well thought out launch from Bourjois. The texture of the foundation is lovely, but the colour’s a bit off for me! It’s a nice collection, though. My friend loves these concealers :)! The last few Bourjois Products I’ve tried haven’t been great but maybe I should give them another go.